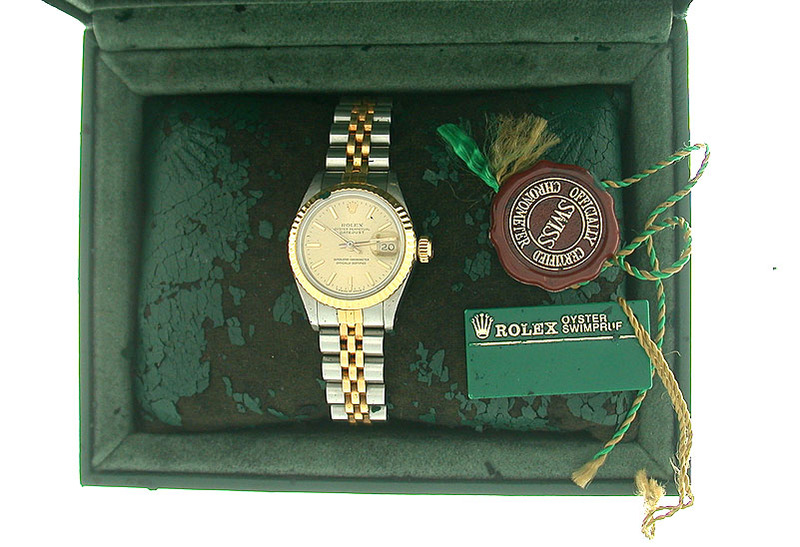 Ladies 18K gold and Stainless Steel Rolex Oyster Perpetual Datejust vintage wrist watch with original box circa 1984. 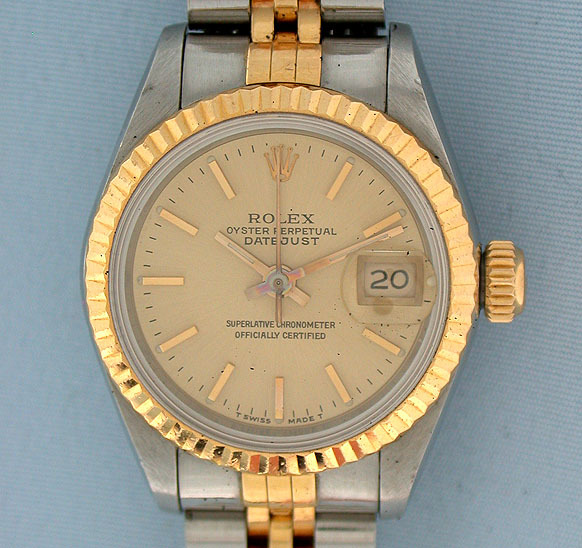 Gold dial with applied gold markers and gold hands. 29 jewel movement. Tight band with 4 spare links. With 2 boxes and papers.